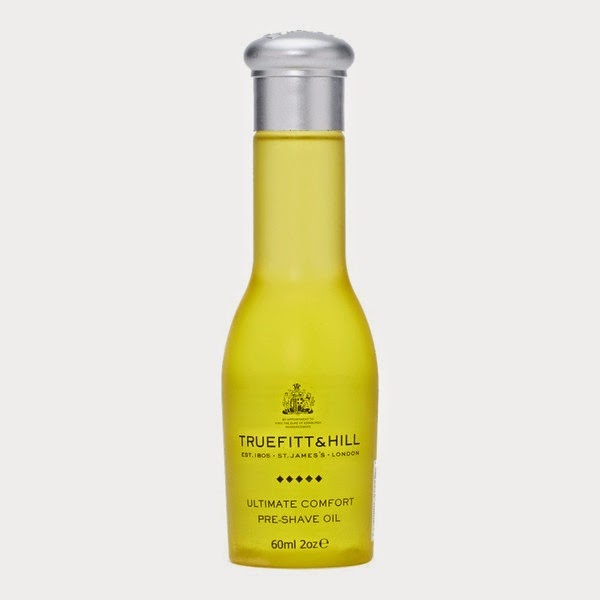 Swag Craze: Must Have: Truefitt and Hill Ultimate Comfort Pre-shave Oil – The Basis For The Smoothest Shave! Must Have: Truefitt and Hill Ultimate Comfort Pre-shave Oil – The Basis For The Smoothest Shave! I have never used pre-shaved oil before or had imagined that there was a need for me to use it. A few weeks ago, I was introduced to Truefitt and Hill’s Ultimate Comfort pre-shaving oil and 3 to 4 drops of the oil has changed my entire perspective on shaving. I have very sensitive skin, and since I started using the product, I have experienced little or no irritation from shaving and therefore I say that this is the basis for the smoothest shave. My razor burn has also dramatically reduced. Truefitt and Hill’s pre-shaving oil also reduced the drag and my skin felt so much softer! The smell of the product is very refreshing and smooth! It smells like citrus, which I enjoy very much. Shaving used to be a mission in the morning, until I started using this amazing product! Truefitt and Hill’s Ultimate Comfort pre-shave oil does everything it says it does. This is one product that I don’t think I could do without. I recommend this product to all the dapper gents. Try it! You won’t regret it! PS: We are also giving away one bottle of Truefitt and Hill Ultimate pre-shave oil to one lucky reader. Click here for more information on how to enter the competition!